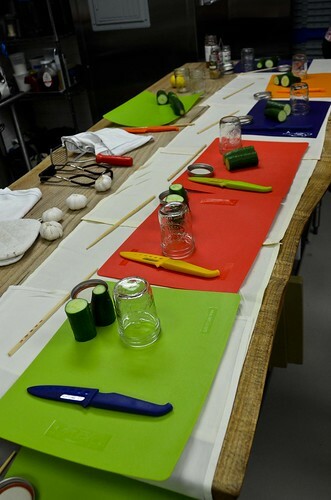 I was excited for Marisa McClellan's canning workshop organized by the Pittsburgh Canning Exchange at Legume Bistro. She had us make Refrigerator Pickles and she demo'd vanilla honey-sweetened strawberry jam...which I promptly went home and made some rosemary honey-sweetened strawberry jam. I also got my 'Food in Jars' and 'Preserving by the Pint' books signed (and she even hand-corrected the misprinted errors!). 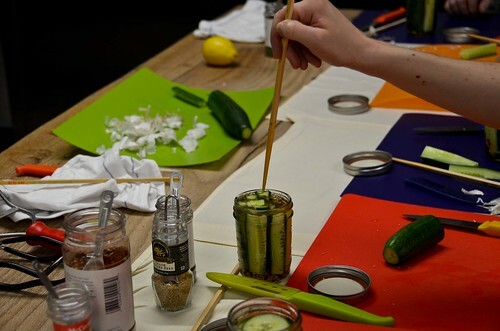 The refrigerator pickles, while not the most special of activities were probably the only option for this format considering resources like time and space. 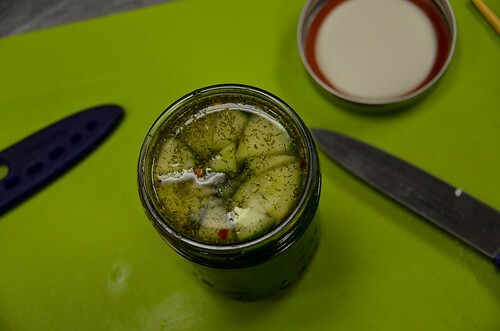 However, refrigerator pickles are a really super easy thing anyone can do, no specialist supplies necessary. The strawberry jam demo was somewhat informative, although probably moreso for newcomers and those who have not read every word of Marisa's blog. I had two friends with me who weren't familiar with water bath canning, and while they were a little lost at the beginning, they were able to catch on later on. (1) Make product. (2) Boil water and jars. (3) Simmer lids. 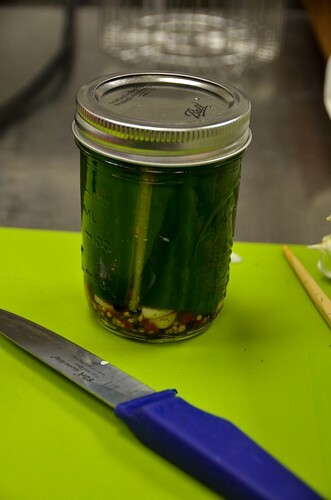 (4) Pour product into jars. (5) Place hot lids, twist lid-rings on jars. (6) Boil jars for X minutes. (7) Test seals when cool. Not terribly complicated, but seems a bit daunting if you've never done it before. 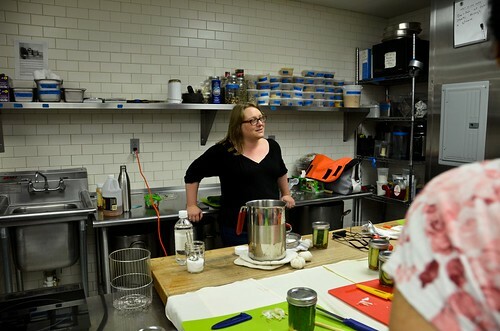 The two highlights of the workshop were receiving a slightly more in-depth discussion of jam set and seeing Legume's preserves room. All their food is seasonal and local, so that means they have to preserve and store all their vegetables for winter before there's no produce available locally. This means their 60 degree dark room is full of smoked rhubarb ketchup at the moment.